So, obviously, I've been super active here. I've meant to keep up with posting my Disneybound Fridays but that has just not been feasible. 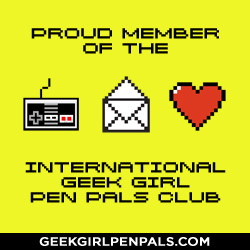 In an effort to bring some life to this arid wilderness of the blogosphere, I've decided to join in The Nerdy Girlie's 5 Fandom Fridays during October. 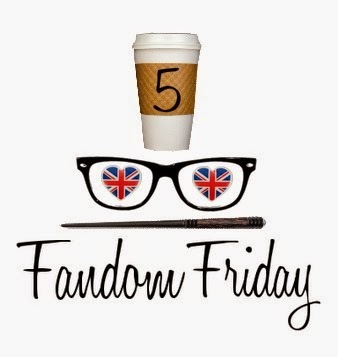 Today's five are the five gateway fandoms that made me who I am today. I can no longer remember which came first, having C.S. Lewis' classic children's series read to me or watching the BBC/Wonderworks mini-series. Regardless, Aslan and the Pevensies have stuck with me to this day and shaped much of who I've become, including majoring in theological studies in undergrad. This may seem like an odd choice but bear with me. Our family tradition is to watch White Christmas every year on Christmas Eve. I grew up in love with Vera Ellen's full circle skirts, the dancing, the music. I can pinpoint my love of 50's fashion to White Christmas and so I honor it as the gateway to my love of vintage movies, music, and clothes. There are other classics films more dear to my heart but White Christmas is surely the origination. This was a family fandom. We watched a lot of geek/nerd/cult classics - Monty Python and the Holy Grail, Spaceballs, The Princess Bride - but MST3K was a thing unto itself and taught me how to properly snark through any film. We didn't have cable when I was a kid, so I didn't actually watch an episode of Sailor Moon until I was 13 or 14, when my older brother had mercy on me and recorded a few onto VHS. But at the tender age of 10 or 11, the internet brought unto me images of Sailor Moon, plot synopses, and the strongest gateway drug of them all FANFICTION. Which, of course, led deeper down the rabbit hole to ONLINE RPGS. Sailor Moon is, by far, the fandom that led to the most other fandoms. Sailor Moon taught me that being a girly girl in no way hinders you from being a strong woman. Oof, I struggled a lot with this last one. Disney must have its place on this list, though it almost transcends being a fandom for me. There's not a clear Disney beginning that I can delineate. I have the music from the Main Street Electrical Parade imprinted in my blood. My Patronus may or may not be a mouse. Bride & Prejudice, which led to my love affair with Bollywood and KDrama. We watch White Christmas every year! Its my favorite thing. Love, love, love Whit Christmas! My family watches it every year. It's my favorite classic Christmas movie! I love kdramas! I also loved the xmen + batman animated series when I was a kid! I thought rogue was pretty awesome!